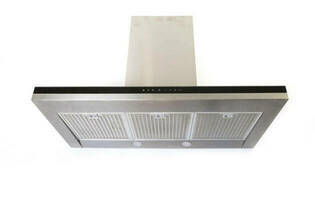 Snapshot: The Fisher & Paykel HC90DCXB3 is a canopy rangehood with front-panel controls. But how well does it remove steam and cooking smells? Front-panel controls easy to access. Mesh filter is very easy to remove, clean and replace. Lights are very difficult to replace. 03 Jan 2019, Charles H.
06 Jun 2018, Mike L.
Easy to clean filters, dimmable lights, very good extraction, stays on for a while after turning off. Failed completely after 3 months. Needed a new PCB so out of action for week. Had been installed in new house so especially disappointing.